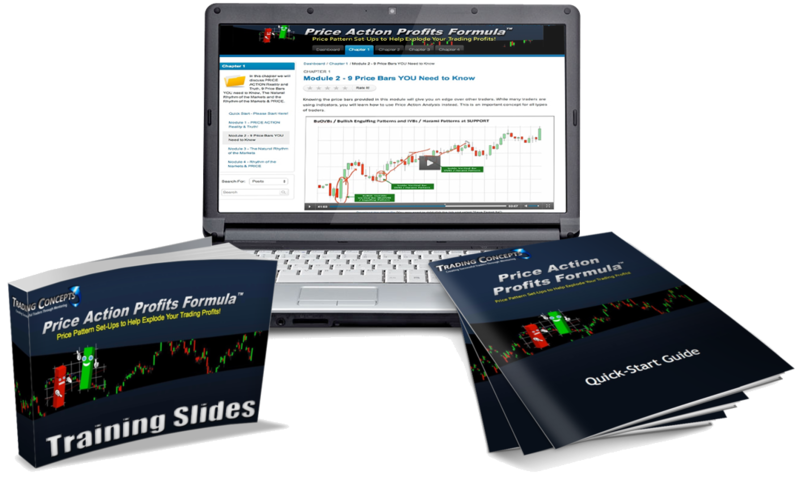 Price Action Profits Formula - Trading Concepts, Inc.	Price Action Profits Formula - Trading Concepts, Inc.
​Learn ​Chart-Reading Techniques Known to Just a Handful of Top-Shelf Professional Traders That Massively Boosts Accuracy & Consistency That Practically Predict Market Direction! Imagine being able to read any chart, (i.e. stocks, ETF's, futures, forex, commodities, options) on any time frame, with the same ease as reading a daily newspaper...an​d know with high probabilities exactly where the market should go next? Wouldn't that make you feel fantastic and help make you feel more secure in knowing that you could regularly profit from the markets? 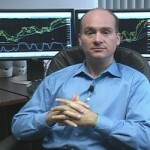 ​Well, that’s the exact skill set you’ll develop inside ​my Price Action Profits F​ORMULA mentoring program. So ​What ​Is The Price Action Profits Formula? But this turned out to be a blessing in disguise. You see, if you wanted to uncover hidden buying and selling opportunities, you had to plot the open, high, low and close… by hand. One. Bar. At. A. Time. And created hundreds of charts. It was painfully grueling work until something completely unexpected happened. One day I noticed, what used to be just regular price bars turned into a repeatable, predictable patterns and rhythms. Then I began to forward test what I found. And ​It Kind Of ​Made ​Me ​Famous. Hi Todd, I can't thank you enough for kindly sharing this powerful eye-opening information. This is the closest it gets to the "holy grail of trading"
My broker, who was stunned by my ability to read and accurately interpret charts, started telling others about me. And before I knew it, I was a 20-something-year-old guy on a plane to Wall Street, teaching my chart-reading secrets to some of New York’s top traders. ​Over 30 years later, the same ​chart changed the lives of over ​50,000 traders worldwide. The Price Action Profits F​ORMULA ​​​Consist of Specific ​Techniques ​Within ​Your ​Overall ​Trading ​Strategy ​To ​Accurately ​Predict ​High-​Probability ​Entry ​& ​Exit ​Points ​Using 100% ​​PURE PRICE ACTION! Price action is the only leading indicator in the world. Everything else lags. That’s why members of ​the Price Action Profits F​ORMULA have such an uncommonly high accuracy rate. You ​Get ​Instant ​Access ​To the ​Entire ​Online ​Video ​Training ​Portal ​& ​ALL the ​Training ​Resources! So how much is The Price Action Profits ​FORMULA? stay on the right side of a trade longer? Since you’re serious about successful trading, my guess is this figure reaches well into the thousands of dollars. You can have this entire program for a fraction of the ​hundreds of hours ​it took me to create it. In fact, all I ask is you invest one payment of $497 for all the video presentations and PDFs. PLUS you’ll get LIFETIME access and LIFETIME updates the instant they’re available. That way you’re guaranteed (see my note in the P.S. below) to always stay on the cutting edge of the newest charting breakthroughs. When you enroll today, you have ​Unlimited, LIFETIME personal support with me inside our members portal. So if you have a question – any question – about the material or a trade, just send me an ​email and I will personally answer your question. So now, with just a mouse click, you have one-on-one guidance from a professional trader. Let’s get started today! PS – Still on the fence? No problem. In addition to the entire Price Action Profits Formula, LIFETIME Access, LIFETIME Updates and LIFETIME online support with me – all for just one payment of $497 – I’ll give you my 100% ​GUARANTEE. Call my office and I’ll rush you a complete, 100% refund. No questions asked.